Our Oh So Natural Super Food Powders product can be added to your smoothie or to your meal. These products contain no artificial colours, flavours or preservatives and are suitable for vegans and vegetarians. 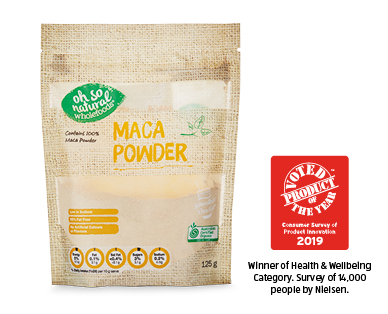 Available in acai, maca, greens, beetroot powder and hemp seeds. Winner - Health & Wellbeing category.